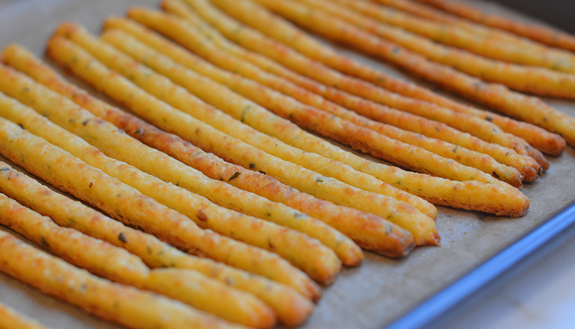 Crisp & flaky cheese straws specked with fresh herbs make a delicious and fun hors d’oeuvre. As you can see, the ingredients are very basic. No need to spend a lot on the cheese; here, I’ve used a brand from Whole Foods but I’ve also had excellent results with Cabot, which is widely available in most grocery stores. For the herbs, I like a combination of rosemary and thyme but you can use anything you like — or even omit them. Begin by combining the grated cheese, flour, salt, red chili flakes and herbs in the bowl of a food processor fitted with a metal blade. Process until the mixture looks like coarse meal. Add the cold butter and process until the mixture is crumbly with pea-size bits of butter within. And pulse until the dough clumps together in a mass. Dump the dough out onto a lightly floured work surface and dust the dough with flour. Knead the dough until it comes together and shape into a rectangle about an inch high; then, cut in half. Roll each block of dough into an 8×10-inch rectangle. Trim the edges, then use a sharp knife or pizza cutter to cut the dough into strips about 1/4-inch wide. Try to be fairly accurate: if they are too thick, they won’t crisp up; if they are too thin, they’ll break. Transfer the dough strips to a parchment lined baking sheet, leaving about a 1/4-inch between them. Bake for 10-12 minutes, or until lightly golden on top and a rich golden color on the bottom (see below — the first three cheese straws are flipped over). Let cool on a rack, then transfer to a plate to serve. Preheat the oven to 400°F. Set two oven racks in the center of the oven. Line two baking sheets with parchment paper. In the bowl of a food processor, combine the cheese, flour, salt, red pepper flakes and herbs. Pulse until the mixture resembles coarse crumbs. Cut the butter into 1/2-inch chunks and add to the flour/cheese mixture. Pulse until the mixture resembles coarse crumbs, with some pea-size clumps of butter within. Add the heavy cream and pulse until the mixture starts to clump together into a mass. Lightly flour a work surface and dump the dough on top. Dust the top of the dough with flour and use your hands to shape into a rectangle about 1-inch high. Cut the rectangle in half. Dust the work surface with more flour and roll each block of dough into a 8 x 10-inch rectangle about 1/8-inch thick (turn the dough as you go and add more flour as necessary so it doesn't stick). Using a pizza cutter or sharp knife, trim the edges straight without sacrificing too much dough, then cut the dough into thin strips about 1/4-inch wide. Transfer the strips to the prepared baking sheets, leaving about a 1/4-inch of space between them. Bake the straws for 10-12 minutes, or until lightly golden on top and a rich golden color on the bottom, rotating the pans from top to bottom and front to back midway through. Remove from the pans from the oven and set on a rack to cool. Carefully transfer the cheese straws to a plate and serve. Note: The cheese straws will keep well in a covered container for a few days. Freezer-Friendly Instructions: The Dough can be Frozen for up to 3 Months: Shape the dough into 2 rectangles, about 1 inch thick, wrap each securely in plastic wrap, and place them in a sealable bag. When ready to bake, remove the dough from the freezer, thaw it until pliable, and then proceed with recipe. To Freeze After Baking: Let the cheese straws cool completely and store in an airtight container separating layers with parchment paper or aluminum foil. Before serving, remove them from the container and let them come to room temperature. These are AMAZING. I made them to go with Easter dinner and they were a hit. They’re addictive little suckers too! My mom told me they’re so good I could sell them. Ha! I was a little apprehensive to make these along with everything else I was doing in the kitchen that day, but they’re really not too difficult. The only issue I had was that mine didn’t brown on the bottom (my parchment paper is pretty thick) and they took longer to bake. A couple of them got too done because i kept waiting for that brown speckling on the bottoms, but they were still delicious! Even better the next day I thought. These are sooo good. I have brought these to many parties and am always asked for the recipe. I have made these for three different parties using thyme and rosemary as the herbs and each time there has not been one left. At a recent baby shower, people were grabbing another breadstick as they left! Admittedly, I always hesitate to make them because I struggle to cut the dough into straight, consistently wide strips. No one enjoying them seems to mind! I wanted to make something different appetizer-wise for thanksgiving. When my daughter came home from college for thanksgiving, I put her in charge of making this. It was sooo good and made so many that we froze half and then ate them again on new years. LOVED them. Thank you! Cheese straws are one of my favorite snacks, and most friends love them as well. I used to add cayenne pepper to mine but really like using the red pepper flakes. Rather than cutting the dough into straws I fill my old Mirro cookie press and use the star disc. Works great! Jenn, how far in advance can I make these and keep them in a sealed container without refrigerating? They’ll keep well in a sealed container for 2 – 3 days. Hope you enjoy! Can these be made with GF flour? Thanks. Hi Karen, I haven’t made these with gluten-free flour, but I suspect it should work. Please LMK how they turn out if you try it! Jenn – do you have a suggestion for something that could be served along with these before Thanksgiving dinner is served? Hi Carol, I think these would be good with store-bought cheeses, cured meats, olives, marinated veggies, etc. Hope that helps! Rather than rolling the dough and cutting into straws I use an old Mirro cookie press with the star disc. Newer cookies presses don’t work well. I live in Berlin, Germany. What type of cheese could I use to replace cheddar. My daughter has a craving for these and I would like to make them for her. Hi Laura, I think Parmesan or Gouda would work nicely here too. Hope your daughter enjoys! I don’t have a food processor. Can you cut the ingredients in together by hand with a good pastry blender? Love these – the texture and taste are amazing. The only problem I had is the sticks would break, easily. I like the long look but they are a bit delicate. Maybe I am not handling the dough correctly? Hi Dabney, Yes they are a bit delicate. You can try cutting them a bit thicker to see if that helps. Glad you like them! Has anyone tried substituting the cheddar with parmesan? Just wondering if it would work. You mention in one of your answers that the addition of cream makes them tender. I was looking for something crisp – are these straws crisp or more like eating crust? Hi Sandy, They have the texture of crisp/flaky pie crust. We made these for Thanksgiving. They were a huge hit and were all gone after the happy hour. We will definitely make again and again. 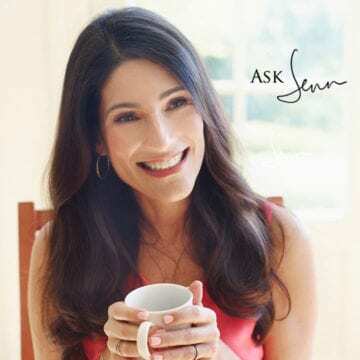 Thanks Jenn, I always know I can trust your recipes to be winners! Happy Holidays. I have been making cheese straw for years. I learned from generations in my past, good southern women all. This is a nice twist, but instead of making long straws I rolled the dough into logs and sliced them thin. Easy snacking and convenient to store, of course I doubled the recipe because they are addictive!! Thanks to you the emails are great. Looking for a savory to bake for a fund raising tea and thought perhaps something w/cheese. Would you recommend the cheese straws or do you perhaps have another suggestion? Thanks. Blessings! Yes I think they’d be wonderful! I’d like to bake and freeze these ahead of time. What is the best way to thaw so that I can be sure they are crisp when served? Hi Liz, I would just let them defrost, covered, on the counter. Enjoy! I have a love/hate relationship with this recipe. They are so tasty it’s impossible to stop eating them! My son & I made them together and they are simple, yet very impressive. It’s important to cut them the same size and keep an eye on them while they bake – easy to burn. We used cheddar and gouda and did not use herbs and it was delicious. I’ll try with herbs next time. Perfect for guests! Make these for a drinks party and be a star! Make with fresh Dill instead of Rosemary as a variation. These Cheese sticks are my favourite appetizer. Everyone loves them. Freeze beautifully baked or unbaked. Wouldn’t change anything. Oh my goodness. I was in the kitchen cleaning up while these were baking, and the aroma was killing me. They taste divine. I formed mine into a roll, sliced them thin and topped with a half pecan. I made 6 to sample, and just ate all of them. Since it is winter I didn’t have any fresh herbs and the ones at the store looked bad. I added a tsp. of Mccormick Italian herb mix. It was great, but this summer I will add the fresh herbs. I plan to bake a roll of these for an appetizer for a dinner party, and freeze a roll for later use. So easy to make. If you are worried about the heat, it is just right. You could leave out the herbs and add chopped dried cranberries. This is a real keeper. These are so good I just swapped out my 50+ year old family recipe (the one using the jar old english cheese). I will miss that steady supply of juice/jelly/wine glasses though… ? I added fresh chopped cilantro, smoked paprika and chipotle chili powder for a Southwest twist. Big hit with all here in Texas. Thank you for sharing this excellent recipe! This was very easy to make and the savory flavor is a winner. I made it as written with the exception of substituting the fresh thyme for half the amount dry since that is what we had on hand. Making another batch for a Super Bowl party this weekend. Thanks again!! These are incredible. Thanks for such an incredibly easy and yummy recipe! If I bake these the day before, how will they hold up? Do they need to be refridgerated for the 24 hours until eaten? Hi Lilly, They will be fine made a day ahead of time. I would store in an airtight container — no need to refrigerate. I’ve made these several times, usually with just crushed red pepper and garlic salt, and they are ALWAYS a hit. I never have any left to take home. so very good. Only problem is they did not last long sitting on the counter when the family came in. I love your recipes. I have been making some of them and all turned out great. I would like to try this cheese sticks but I don’t have food processor. Any suggestions? I love these! Make one batch with the herbs and one without and both were great. They are addicting and great for entertaining. Are there any substitutes for heavy cream. Hi Waheda, You could use half and half. I’m wondering if you have tried other cheeses with this recipe? I was thinking about a hard cheese like asiago. Im going to try it and let you know how it goes. Why do you add cream to this recipe for the cheddar cheese sticks? 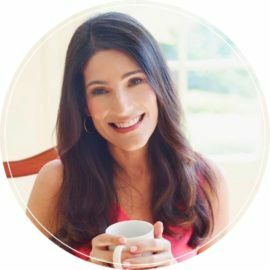 What is a serving size? Do you know what the fat, fiber protein and carb is? Hi Amy, The cream makes them tender. I have added nutritional data beneath the recipe. Hope that helps! Jenn, as other reviewers said, the dough was really easy to work with. I made these the week before Thanksgiving and mailed them to family in Chicago (from San Diego, rather than schlep them on the plane). I wrapped them in heavy duty foil and then put cardboard “wrapping” a book came in, and they arrived perfectly. My host put them in the freezer until Thursday. They traveled beautifully and were a huge success with the guests. I wonder if the dough could also be formed into logs and sliced. I may try that this week and will report back. Thanks for all the great recipes and inspiration. I wondered if you did get to try them rolled and sliced—-how did it work and did you make changes? I made these the other day and they whip up pretty quick. I actually chose to use white cheddar as I thought the white, green and red would look festive for the season. They melt in your mouth and have a nice follow up warmth from the chili flakes. Thank you again for another recipe that is quick and delicious. I pinned this recipe today and made them for dinner. They are amazing. Very addictive and flavorful and so easy to make. I can’t wait to try them with a stronger cheese than what I had on hand. I made these for a party and OMG, can you say A-D-D-I-C-T-I-O-N?! I used a premium Irish Cheddar and the guests ate them almost before I could get one. The red pepper gives it enough of a kick at the end to make you pick up another. I was out of Kosher Salt so used a Himalayan Pink Salt I had been given. Cannot wait to make them again. And, my husband and all the guys were the biggest eaters of them. Made these for Thanksgiving. The guests loved them, so did my family, and most importantly so did I! Will definitely make these again for company; they would also make a great gift to give with a bottle of wine or homemade treat. I used lots of rosemary and thyme. Am thinking of trying chives next! The cheddar you use definitely makes a difference, I used Talbot’ Sharp Cheddar (wasn’t white) and it complemented the rosemary and thyme really well. Just made these. They are delicious! I added 1/2 t of garlic powder. I added a scant scant of 1t red pepper flakes (1/2t maybe). I love spicy food and the minimal pepper flakes I used added a good amount of residual heat after you’re done. My non-spicy eaters thought they were very spicy. I will make these for entertaining…they will be a big hit! Thanks Jen. Just made the cheese straws. They were awesome! Love your website. I like that your recipes have everyday ingredients. Happened to have all the ingredients on hand for this recipe so figured I’d give it a shot. All I can say is WOW! So delicious and, yes, addictive! The dough was much easier to work with than I expected. Great easy recipe for entertaining. Thx!! Can the dough for the Cheese Straws be made in advance and then cut and baked at dinner time? Hi Kim, Yes, absolutely. You can wrap the dough in plastic wrap (or roll and cut the dough and place the unbaked straws on prepared baking sheets) and keep in the fridge until ready to bake. May need to add a minute or two to the baking time since the dough will be cold. I just rolled out the dough (it was so easy to put together and i happened to have everything on hand! ). it looks like both halves will make a lot of sticks. Can this dough be frozen? Hi Alisa, Yes, the dough can be frozen. My family loved them and there were no left overs on the first batch so no freezing necessary this time! thanks for another great recipe! These look amazing! I can’t wait to make them for my next dinner party – coming up very soon! Thank you, Jennifer. If I’m out if cream can regular milk be substituted? Hi Sarah, Cream or half-n-half would be best, but milk should work in a pinch.